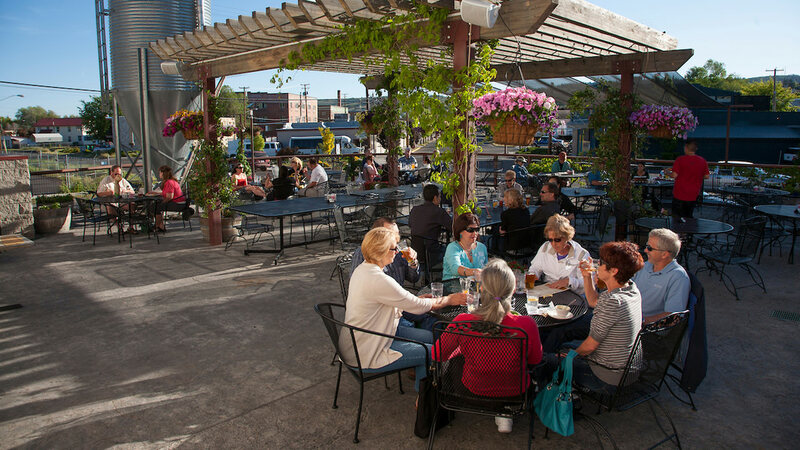 Abundant bird life, serene lakes and a historic downtown make Klamath Falls a relaxing destination to approach leisurely, by scenic train ride. The only things that move fast out here are bald eagles swooping to catch their prey or folks whizzing along Oregon’s longest zipline. Savor the mountain and lush marsh views along the way, then settle into a lakeside setting with boating, hiking, biking and more all at your doorstep. Downtown Klamath Falls itself is walkable with some gorgeous Victorian architecture. Schedule at least four days to settle into the calm. Simply getting to Klamath Falls is stunning. The Amtrak train ride starting at Portland’s Union Station weaves south through national forests, past snowy peaks and into the lush Klamath Basin. The route takes about 7.5 hours one way and arrives in Southern Oregon around 10 p.m., so pack some snacks for the ride. From Amtrak trains, there are connecting bus services direct to Running Y Ranch Resort on Upper Klamath Lake, and in summer there are connections to Crater Lake National Park. 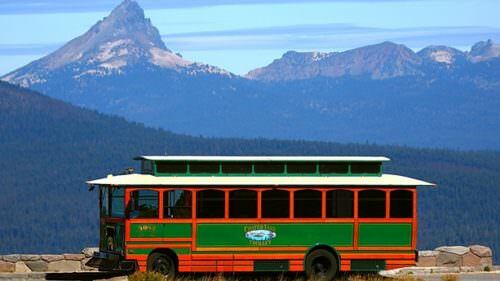 Once in Klamath Falls, Basin Transit Service runs a network of buses to get you around town while Basin Yellow Cab whisks you farther afield. Surprise! There are no waterfalls in Klamath Falls. The town is actually set along Lake Ewauna and scenic rapids that flow into the wooded, bird-filled playland of Upper Klamath Lake. The region boasts around 300 days of sunshine per year, making lakeside stays an appealing choice. 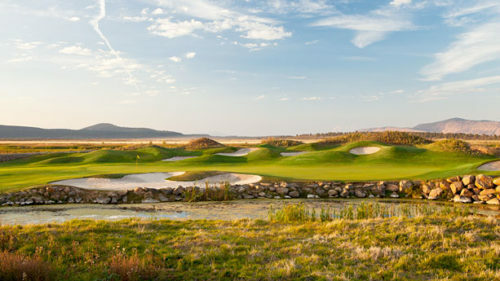 The manicured, waterfront and golf-course-centered Running Y Ranch Resort can be reached by Amtrak, or catch the daily SouthWest Point Shuttle from Klamath Falls or Grants Pass. A few restaurants and everything you need are at the resort, and a taxi into town with Basin Yellow Cab takes around 15 minutes. Rocky Point Resort is more rustic and nature centered with water sports and bird-watching galore. A taxi to town takes around 36 minutes each way, but with a restaurant, bar and peaceful water views, you may not want to leave! 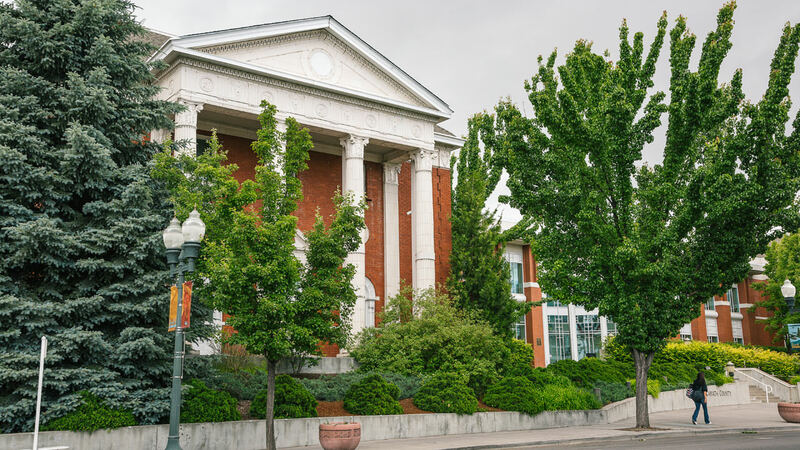 Klamath Falls has a charming, historic downtown that’s well worth a few hours exploring on foot. Stop at the well-curated Favell Museum to peruse contemporary Western Art as well as Native American artifacts. For a deeper focus on local culture and history, head to the quirky Klamath County Museum, which includes a native plant garden to stroll. If you get the munchies, don’t miss the town’s favorite place for cinnamon rolls and other sweet and savory baked goods, Green Blade Bakery. For the early risers, Nibbley’s opens early for American breakfast classics served in a vaguely Southern Belle-style setting. Thirsty? Head to hopping Klamath Basin Brewing for locally brewed ales, porters and more. Craker Lake's water is so blue, so deep, it’s no surprise it’s the deepest lake in America, and one of the deepest on earth. 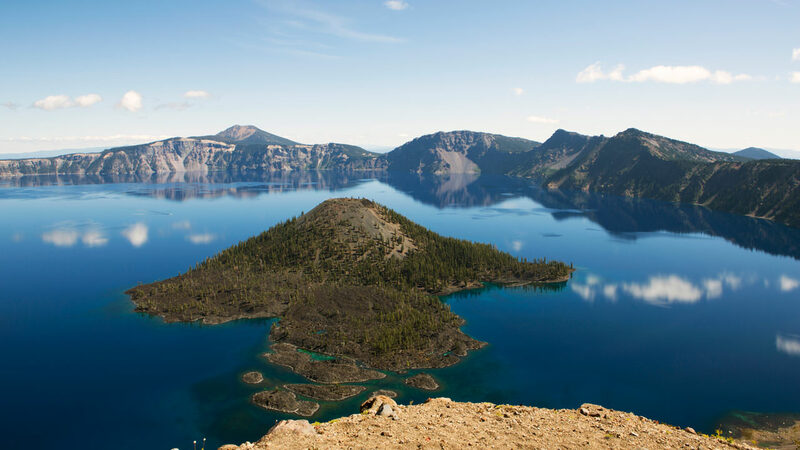 From July 1 to Labor Day, Amtrak offers a bus connection from the Klamath Falls train station to the Crater Lake Trolley. If you’re headed up from California, there’s a direct connection from the train to the trolley in the morning shortly after arrival. The Amtrak train from Portland arrives at night, so from that direction, you’ll have to spend the night in Klamath Falls before catching the trolley connection from the train station the next morning. The San Francisco Cable Car-style vehicle takes you on a knowledge-filled trip around the mind-bogglingly stunning lake in the national park. It’s a great way to experience the deep watery blues and green forests, to learn about everything from the history to the geology of the area, and to get some outstanding photos. 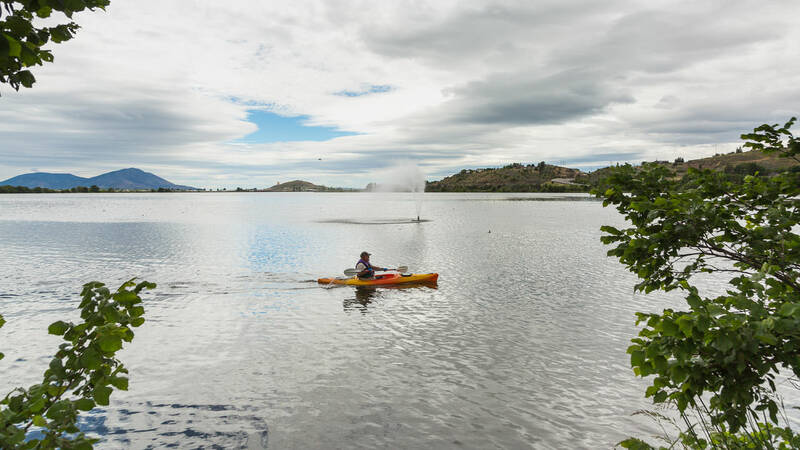 Watery exploration is what draws most people to Klamath Falls, whether it’s to bird-watch or to paddle around and relax. If you’re not staying the night there, you’ll need to take a half-hour taxi ride to Rocky Point Resort, but it’s well worth it. Rent a canoe at the resort and paddle the well-marked, 9.5-mile Upper Klamath Canoe Trail, which brings you through marshlands, open lake and forested environments. You can also rent stand-up paddleboards (SUPs), kayaks or motorboats, or even try your luck at fishing. There’s a lot happening on land as well. 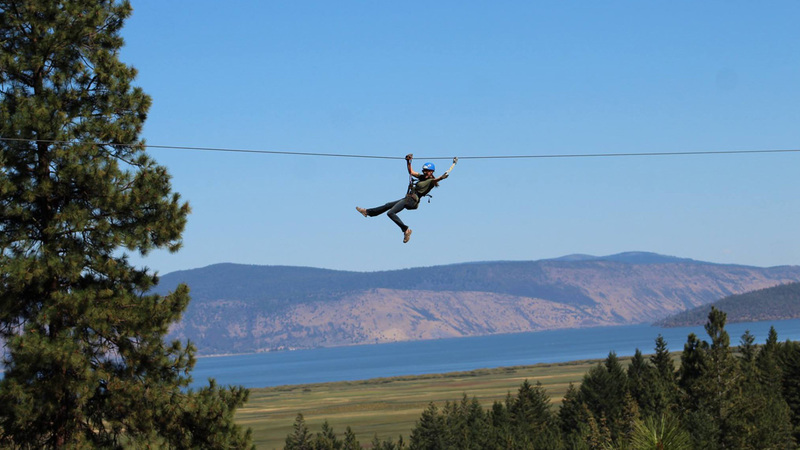 Walk the shores of the lake and beyond, take off on a bike, go horseback riding or up your adrenaline on Crater Lake ZipLine, with gorgeous views of the Klamath Basin. The zip-line site is also the base of ROE Outfitters, which leads many boating and hunting tours. A taxi ride to the zip lines is five minutes from Rocky Point Resort or around 20 minutes from Running Y Ranch Resort. 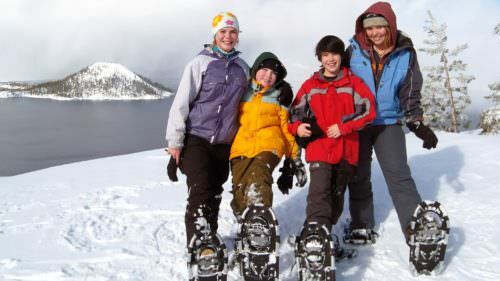 Some of these activities may not be available in winter, but you’ll be able to go snowshoeing and ice skating instead. Upper Klamath Lake is part of the Pacific Flyway — a north-south migratory bird path that extends from Alaska to Patagonia. Expect to see up to 130 bird species in the water and marsh areas any time of year, but from December to February, hundreds of bald eagles visit to feast on the abundant goose population. If you’re planning to be in town for February’s huge Winter Wings Festival, reserve lodging several months in advance. 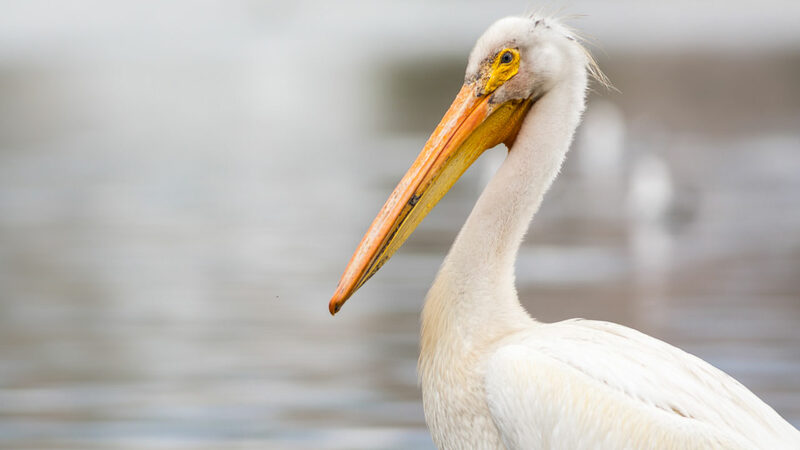 There are bird identification classes, talks by renowned birders, and lots of birding and photo-oriented expeditions to the area’s several National Refuges via van or carpool, all organized by the event. Find schedules and details on the website. Check ahead — Winter months can see road closures and train delays, while summer fire season can occasionally halt services and affect transport as well. Many businesses in Klamath Falls are open year-round, but calling ahead, especially in low season, is still a good idea. Cab services — Tired of walking? You can arrange a taxi ride in the Klamath Falls area with Basin Yellow Cab. Bike travel — Have your bike with you? Amtrak lets you bring your bike onboard. You can learn more here. Bike rentals are available at Running Y Ranch Resort. Leave no trace — No matter where your car-free travels take you, be sure to practice leave-no-trace ethics. Stay on designated trails, leave what you find where it is, respect wildlife and be considerate of locals. 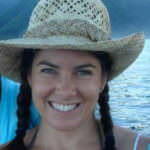 After 15 years in French Polynesia, Celeste Brash now lives in Portland. She’s contributed to over 60 Lonely Planet books and countless articles in outlets such as Islands Magazine, National Geographic’s Intelligent Travel and BBC Travel.